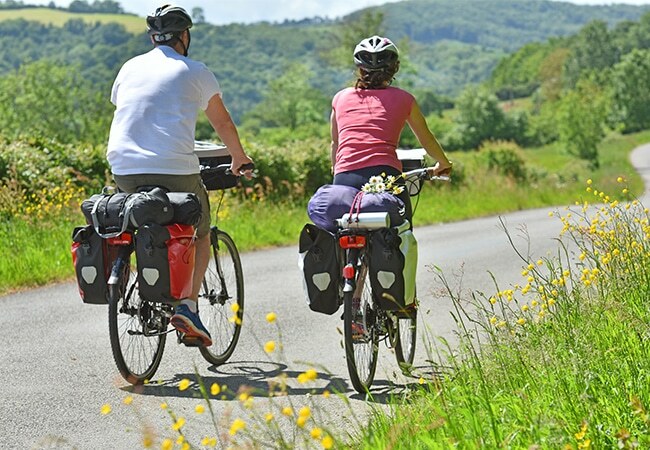 Those of you who prefer to travel by bike will be astonished at the wealth of heritage and the multitude of changing landscapes to discover throughout Normandy, as you free wheel your way along our major cycling routes. Calvados instants are here to share with family or friends, along with unforgettable experiences to take home with you. 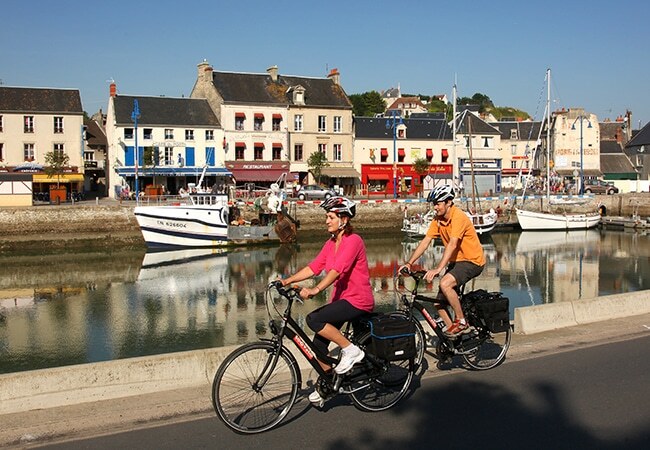 La Vélo Francette is a cycle route covering approximately 600km (370 miles) and linking Ouistreham with La Rochelle. Calvados is its departure point, via a route that is split into two sections. The first is a 100% green way route, ideal for nature lovers, that runs along the banks of the Orne from Ouistreham to Clécy. The second section, from Clécy to Condé-sur Noireau, is more athletic and offers stunning panoramic views over Suisse Normande. From Roscoff to Kiev, Eurovelo4 brings seven countries within reach of you and your pedals. 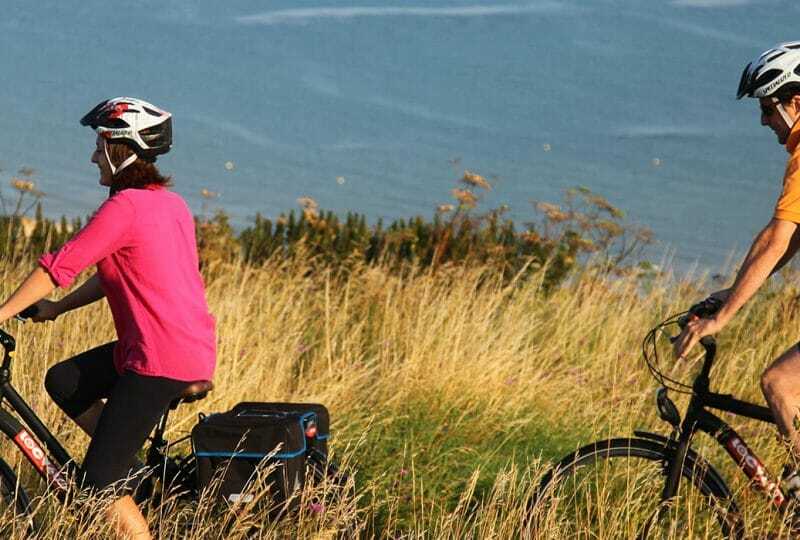 This coastal cycling route takes you past some exposed and 'must see' viewpoints. 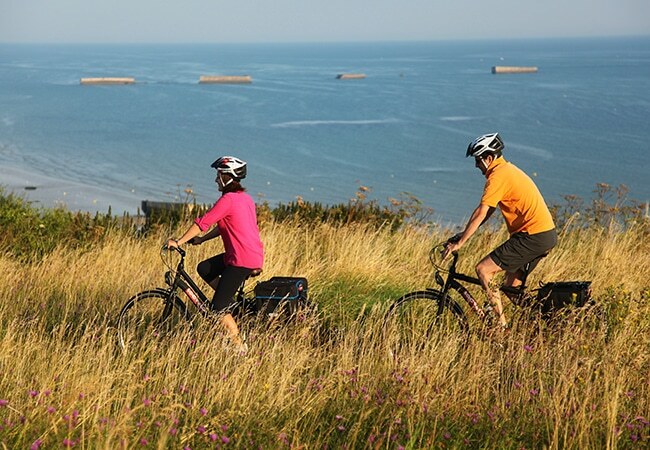 From Honfleur, you will cycle past the vast beaches of Calvados, via Deauville, Cabourg, the Orne bay and, of course, the D-Day Landing beaches, where you can revel in 360° panoramas from land to sea. This exceptional route offers a medley of beautiful coastal settings and fascinating history! Your mission, should you choose to accept it: to link two of Normandy's outstanding historic sites: the D-Day Landing beaches and the Mont Saint-Michel. 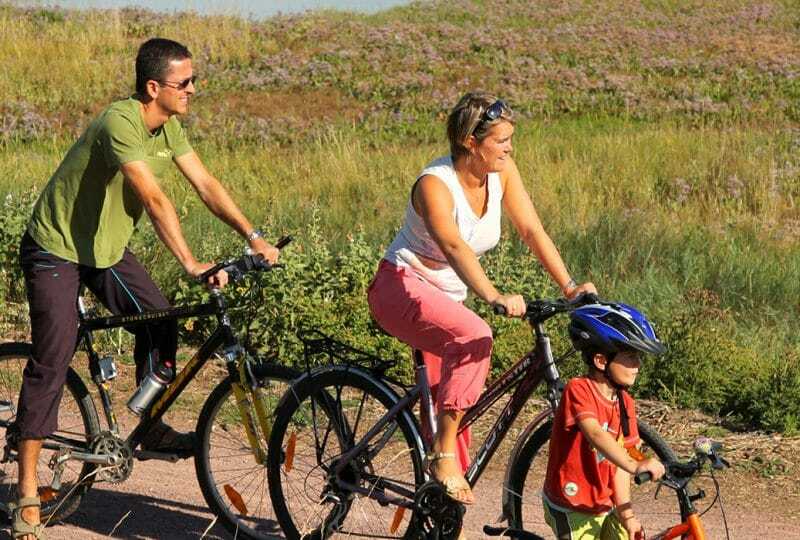 In Calvados, this cycle route offers you a plunge into Normandy's history, along the D-Day Landing beaches. Then it heads inland for an insight into the medieval capital of the Bessin region - Bayeux. Finally, your route will take you along quiet roads for a tour of the typical landscapes of the Normandy bocage.